If millennials get a bad rap for job-hopping, apparently I was born ahead of my time given my track record over the past several years. In the past year and a half I’ve cycled through five jobs, finally landing at what I hope is my final destination for a long, long time (knock wood). I have to say I’ve learned a ton through this journey, and come away from each experience with a valuable skill or lesson-learned, the sum of which has set me up for success in what I hope will be my long-term position doing basically all things communications, marketing, PR and social media for a small staff organization. While I’ve worked for smaller staff organizations in the past, this is the smallest I’ve experienced as a full-time employee–seven FTEs. I personally love the fact that I get to wear so many hats and do so many things, even if resources are tighter than at larger orgs. I know there are many, many others out there in similar positions, trying to do all that needs to be done to keep pace with current technology and marcom trends on a micro or non-existent budget. In today’s increasingly digital world, it’s easy for big guys to roll with changes like Google’s recent “mobilegeddon” algorithm change, Facebook’s ever-increasing organic reach issue that basically requires an ad budget and expertise in Facebook ads, social media platforms’ constant tweaks to image sizes or layout, etc. Stuff that larger organizations have plenty of resources to help mitigate things like these, small staff associations have to MacGyver in order to keep up. So in that spirit, I figured I’d share some of my favorite go-to resources as well as a few new ones I’ve discovered as I’ve jumped into a website redesign and a re-branding that necessitated design changes across all our social media channels. Canva–I’ve been a long-time fan of Canva, a free web-based design platform that lets you design email templates, social media headers, presentations, ads, web graphics and more. I am NOT good at graphic design and love that Canva has templates that let even non-designers like me create professional-looking images. I just used Canva to create header images for Google+, YouTube, LinkedIn, Twitter and Facebook–all from templates, and all for free. HTML Color Codes–need to match the exact colors of existing web graphics/elements when you create new ones? Use HTML Color Codes’ “Get Color from Image” feature and–BAM–it gives you the color code(s) you need. Mockingbird–I’ve been through website re-designs at several organizations, but always as part of a web team working with outside contractors to come up with wireframes and designs, do card-sorting, migrate existing content to the new site and everything else that goes into developing a better association website. This time, it’s pretty much all me, other than the design part–wireframe, mapping current content to the new nav, migrating the content….basically all of it. But yay challenges, right? I found and used Mockingbird to create wireframe ($9 a month, and you can cancel at any time) and found it super easy to use, even for design-challenged people like me. XML Sitemap Generator–Need to create a sitemap for your existing website, or get a map of all the content on your site to figure out what to migrate to new site and/or how to map existing nav to new nav? XML Sitemap Generator is a free tool that lets you enter your site’s url and generates a sitemap that shows all content and lets you know exactly how many pages are in your existing site. Very handy for getting a grip on what you’ve got and what needs to move to the new site. Free Stock Images–Others have come on the scene since I wrote this post about five free or cheap Shutterstock alternatives, but these are still good ones I refer to frequently. For this site I almost always use Snapwire’s free shots. 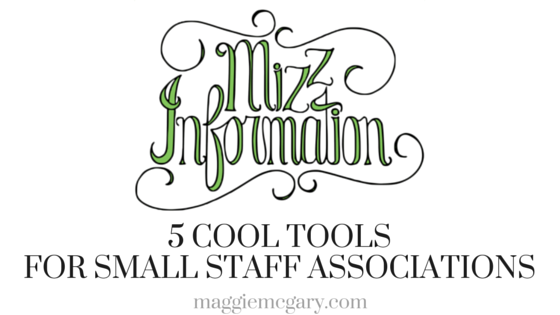 What other free/cheap/easy resources do you recommend to help give small staff association’s communications big impact?